Flash back to freshman year, winter semester. 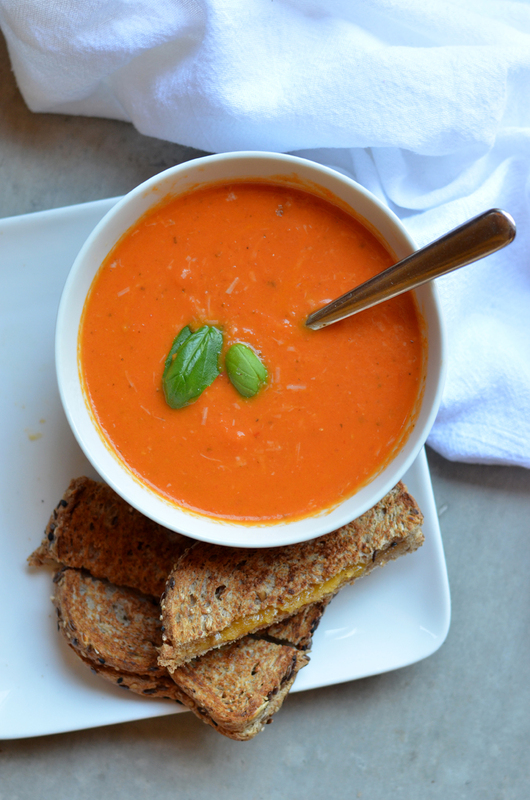 I had just gone grocery shopping and tomato soup sounded really good. 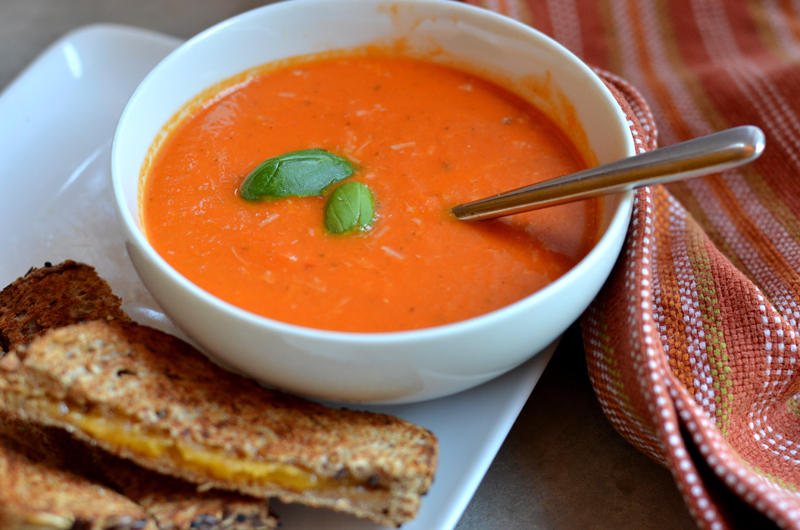 I popped my Campbell's tomato soup into the microwave and made a gooey grilled cheese sandwich. 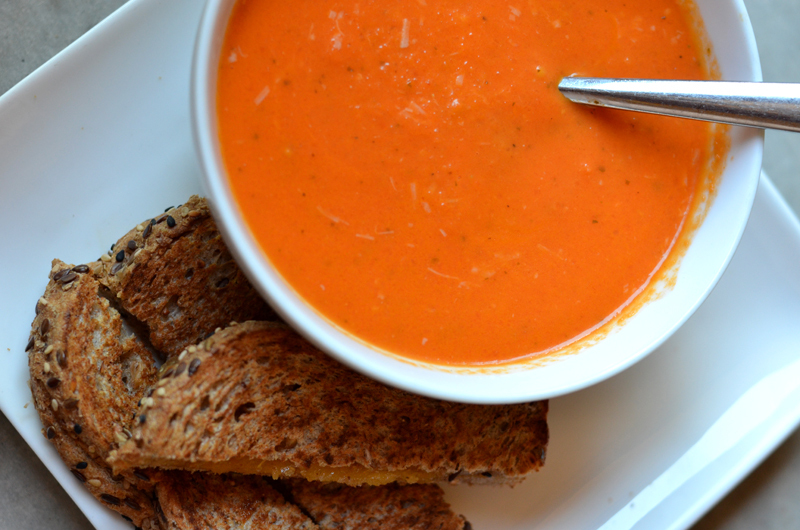 Now confession time, I had never had tomato soup that wasn't homemade (eek I know, what a freako). But, let's just say my Campbell's soup went cold and ran down the drain (why do little kids love that stuff so much?). 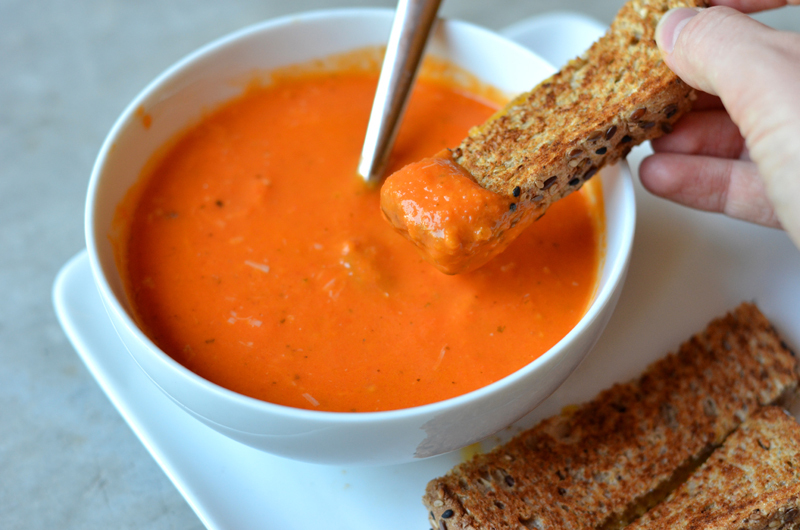 This is what real tomato soup is supposed to taste like people. This recipe is amazing! I'm not sure how my mother learned this sorcery but let me tell you, everyone should know about it! 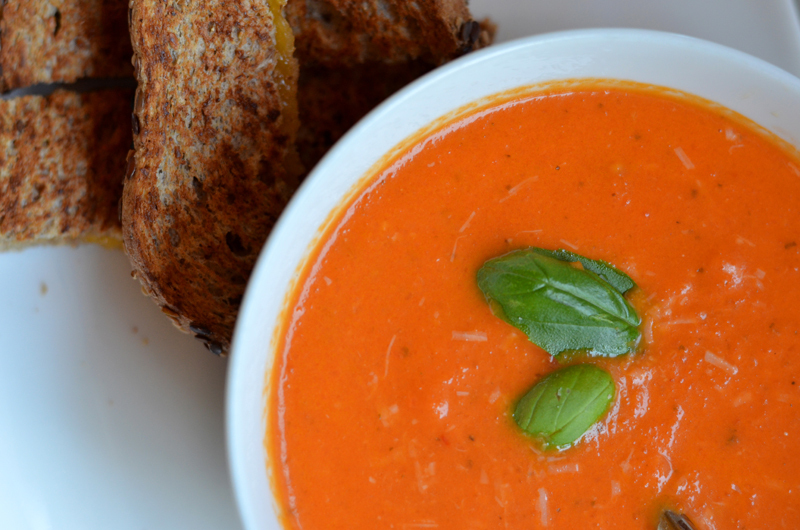 This is the best tomato soup EVER. I promise it'll rock your world and leave you wanting more. 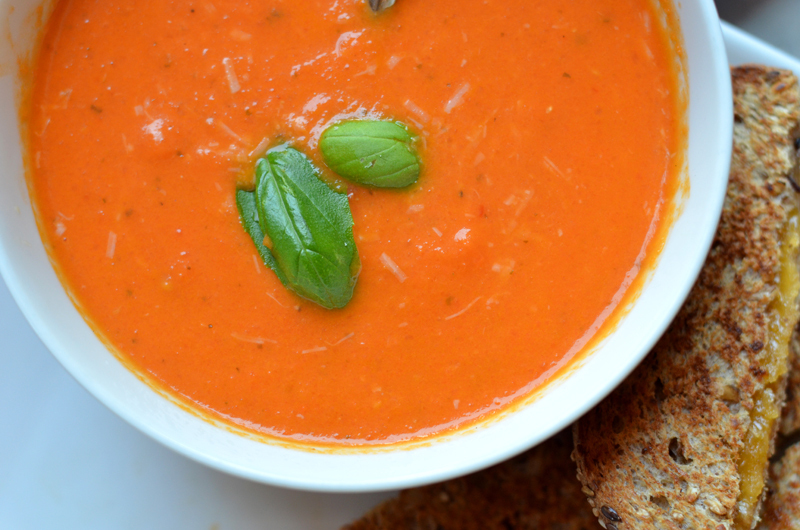 1) Wash and cut off tops of around 10 tomatoes and place in broiler pan or Pyrex pan, skin up. Peel 3-5 cloves of garlic and place in pan. Add fresh basil into pan with tomatoes and garlic. Drizzle olive oil over tomatoes and garlic. 2) Put pan in oven at 425° F for 30 minutes (until tomatoes are roasted and skin splits). 3) Take out of the oven and let cool. Peel off tomato skins. 4) Chop 1 medium yellow onion and 3 medium carrots into a medium dice. 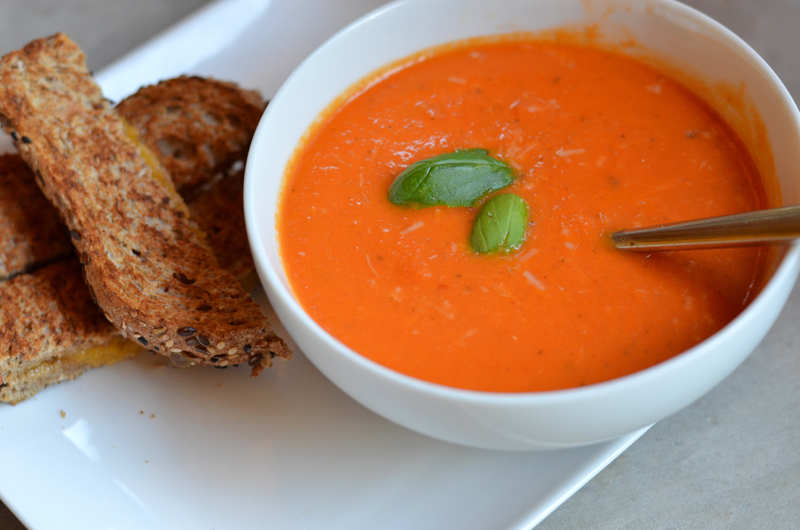 In your soup pot, saute onion and carrot in oil olive until carrots are tender. 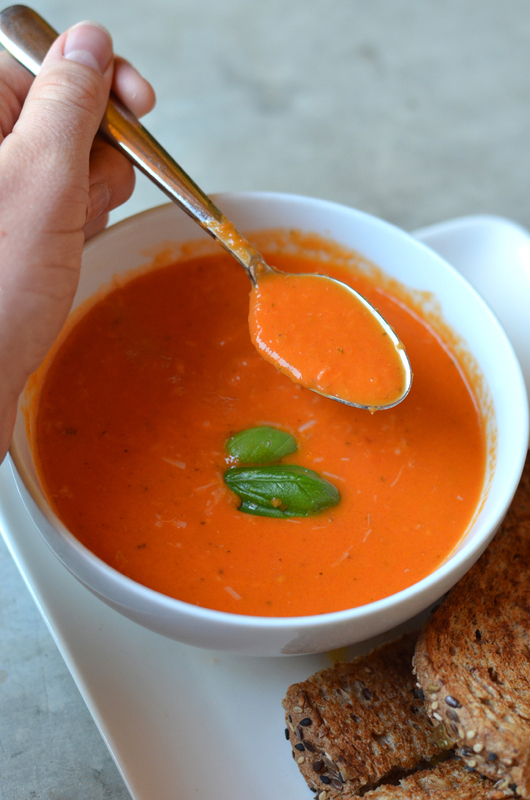 5) Add all of your tomatoes (and juice from pan) and use a hand blender (or pour in a food processor) to puree together tomatoes, onion, and carrots. 6) Add about 2 cups of chicken broth (depending on desired consistency), then add around 1/3 cup heavy cream. Salt and pepper to taste and top with fresh basil.